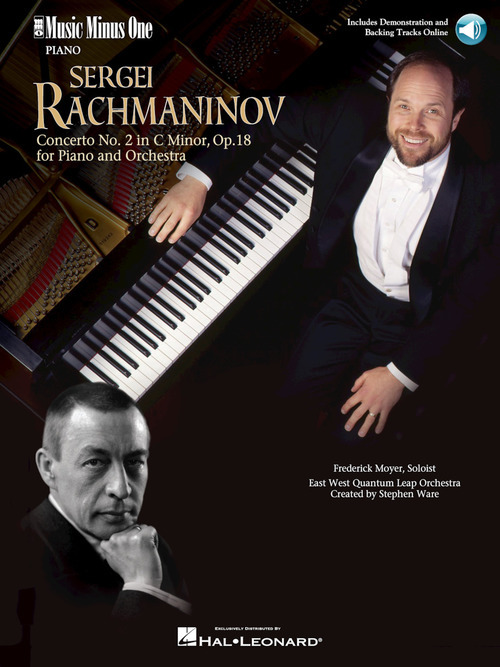 Equally renowned as composer and pianist, Rachmaninov dazzled the world with his piano concerto in C minor. It is immensely popular to this day. Brilliant and powerful with the beautiful lyric theme that became the popular song “Full Moon and Empty Arms,” it is here presented in a lovely recording, sans your part, the solo piano. This deluxe set includes a 68-page score, plus professional recordings of a complete performance of the concerto with orchestra and soloist Frederick Moyer and a second performance minus you, the soloist.